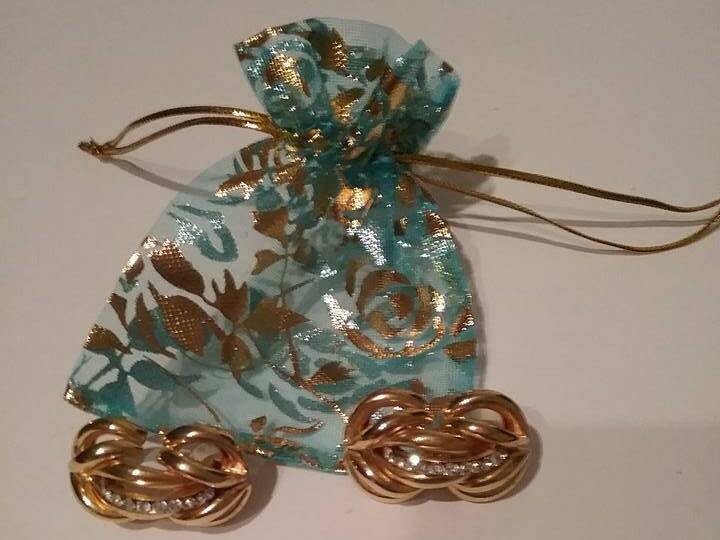 Retro triple circle love knots, triple infinity knots are shiny faux gold with brilliant rhinestones. 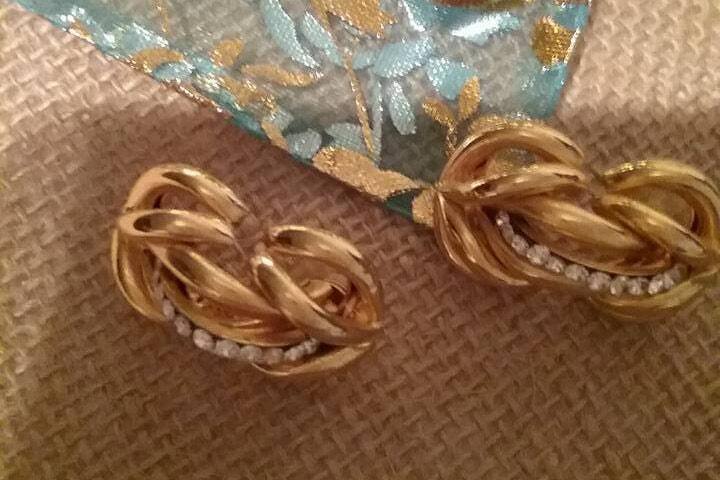 These timeless earrings shine for a formal look, or to enhance a casual attire. 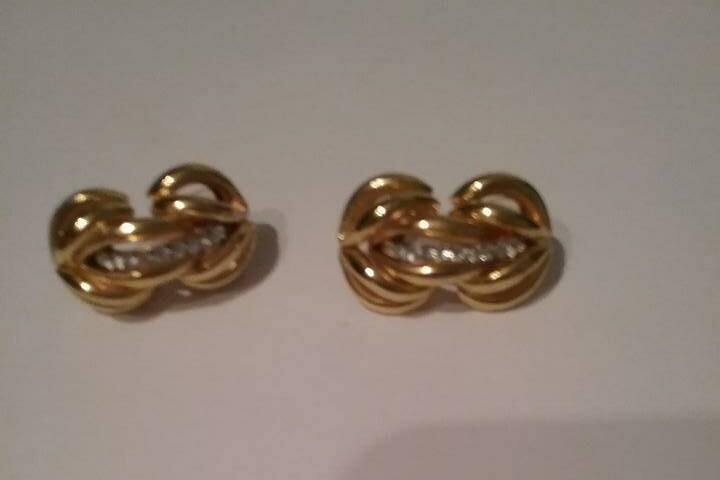 Pierced earrings are approx 1.5" in length, and are in excellent retro condition. No missing or blackened rhinestones, and no tarnish. 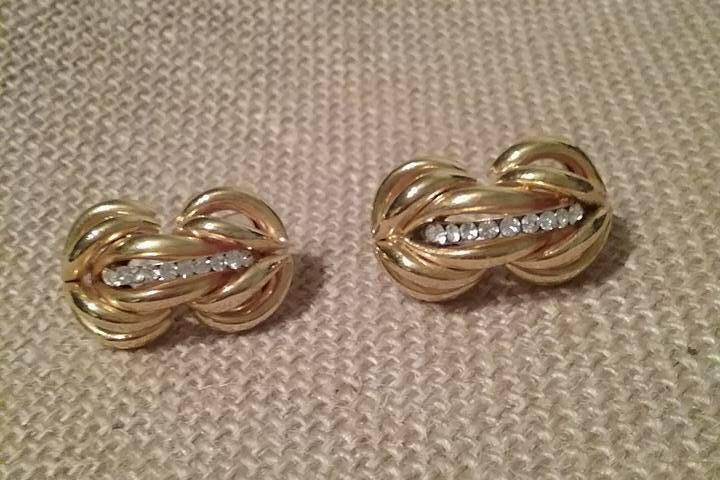 Show your love with these infinity knot earrings for Valentine's Day.....infinitely your sweetheart!